Nicaragua's Ortega Has 'Vindicated' Himself. Cuba's Castro Would Have Been Proud. SOMOZA TO SANDINISTAS: Protesters behind barricades demonstrate against Nicaraguan President Daniel Ortega in Managua this week. While a growing global chorus calls for Nicaraguan strongman Daniel Ortega to step down, I’m thinking back to one of my favorite editorial cartoons. It appeared 28 years ago, at the curtain call of Ortega’s first presidency – right after Nicaraguan voters tossed out him and his Marxist Sandinista party, ending their decade of authoritarian rule. At that moment in 1990, Ortega was arguably the lowliest political figure in the Americas, a tinpot Fidel wannabe who had wrecked the economy of a Central American nation that was already the second poorest in the Western Hemisphere. Granted, he’d had help from U.S. President Ronald Reagan, who backed the contra rebels waging a bloody civil war against the Sandinistas. But the contras themselves were a response to Ortega’s despotic and dimwitted governance. Fast-forward to 2006, when those of us who’d covered Ortega in the contra days were astonished to see him win Nicaragua’s presidency again. And gobsmacked to see his running mate was Jaime Morales – one of the wealthy Nicaraguan businessmen whose property Ortega had confiscated in the 1980s. The crisis erupting around Nicaragua's dimwitted despot is a grim reminder why this century's trend toward allowing presidential re-election in Latin America is so precarious. But the question was: vindicate himself to whom? To: A) Democracy? B) Nicaraguans? C) Morales? Or D) The Cuban mentor who couldn’t believe how stupid Ortega had been to accept not just an election but an election defeat? In 2006 we warily hoped the answer was A, B and C. And for a while it seemed that might be the case. 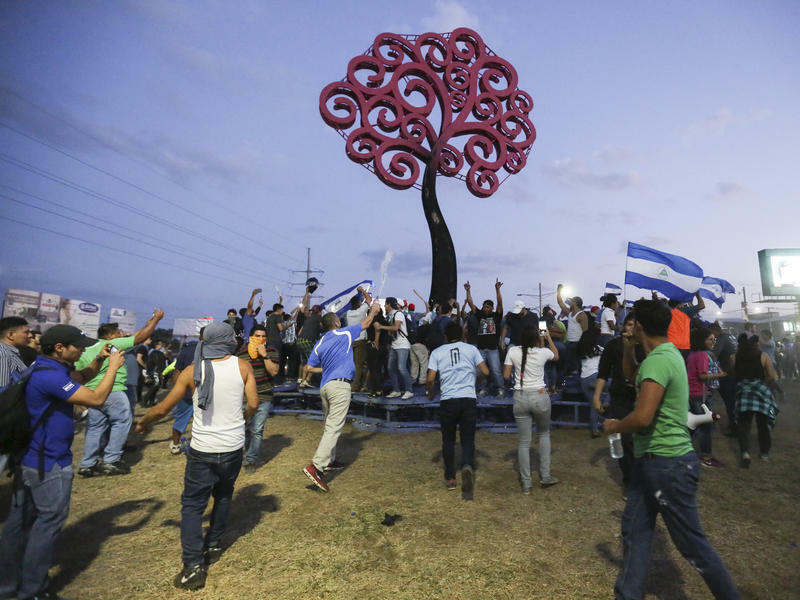 Instead of choking capitalism, Ortega let it breathe – and Nicaragua’s economy began to look like something besides a backward basket case. Ortega also managed to keep the country free of the horrifically bloodthirsty drug gangs that have strangled neighbors like Honduras. Still, Nicaragua has ended up paying a big, ugly price for Ortega’s “vindication.” Because in the end, the real answer to the question I posed above was D.
When I interviewed Ortega not long after his 1990 loss, it was obvious that he was less ashamed that he’d left his country in shambles – and more humiliated that he’d left his power unprotected. That he’d let his dictatorship of the proletariat – his moral right, so plainly spelled out in the Marxist bible and so gloriously manifest in Castro – slip through his fingers. So when fools like Morales gushed 16 years later about Ortega getting a “chance to vindicate himself,” they were right. It’s just that in Ortega’s small, Machiavellian mind, it meant proving himself not so much to the struggling campesinos in Jinotega but to the towering comandante in Havana. 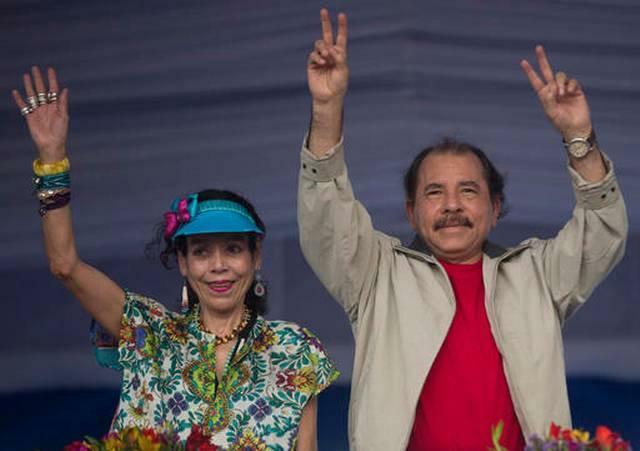 FAMILY FIEFDOM: Nicaraguan President Daniel Ortega (right) and his wife Vice President Rosario Murillo during the 2016 campaign. While Nicaragua’s capitalists counted their new profits, Ortega trashed the country’s democratic institutions. He turned the Supreme Court into a banana-republic bench stuffed with Sandinista cronies who were willing to tear up the Constitution, let him rule by fiat – and win all the presidential terms he wants in all but rigged elections. At the same time, Ortega and his wife, Vice President Rosario Murillo, turned Nicaragua into a corrupt family fiefdom. Critics call it a thuggish reincarnation of the brutish Somoza dictatorship the Sandinistas overthrew in 1979. 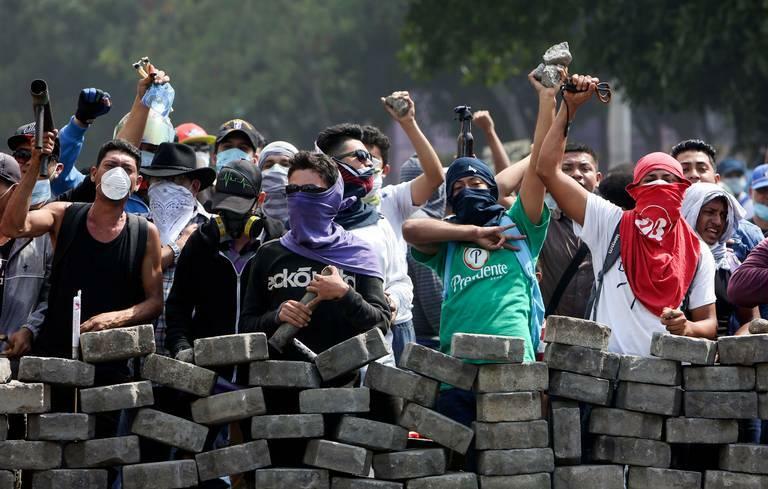 If you doubt that, they say, check out how violently Sandinista security went after demonstrators in recent days – human rights groups say more than 30 people are dead – as they protested Ortega’s rule. Specifically, those tens of thousands of Nicaraguans are railing against Ortega’s heavy-handed pension reform. Generally, they’re howling their long overdue realization that Ortega’s re-election 12 years ago wasn’t about their national reconciliation. It was about his personal retribution. And, ultimately, about this: Ortega is a grim reminder why this century’s trend toward allowing presidential re-election in Latin America is so precarious. For much of the 20th century, re-election prohibition was the region’s norm – precisely because the 19th century was so full of caudillos who overstayed their welcome. The way a “vindicated” Ortega has done these past 12 years – and counting. The welfare reform package proposed by Nicaraguan President Daniel Ortega that set off days of deadly protests has been canceled. In a televised national address, Ortega said the board of Nicaragua's social security system had voted to revoke the measures that were approved last week. The sweeping pension overhaul plan that increases contributions for workers and employer, but lowers overall benefits. The U.S. government stripped its embassy in Nicaragua down to bare-bone operations Monday after five days of deadly protests around the country, despite Nicaraguan President Daniel Ortega's efforts to calm his tempestuous nation. The State Department on Monday ordered nonessential employees and all embassy family members to leave Nicaragua. In a public statement, the Department of State also warned travelers to "reconsider travel to Nicaragua due to crime and civil unrest." 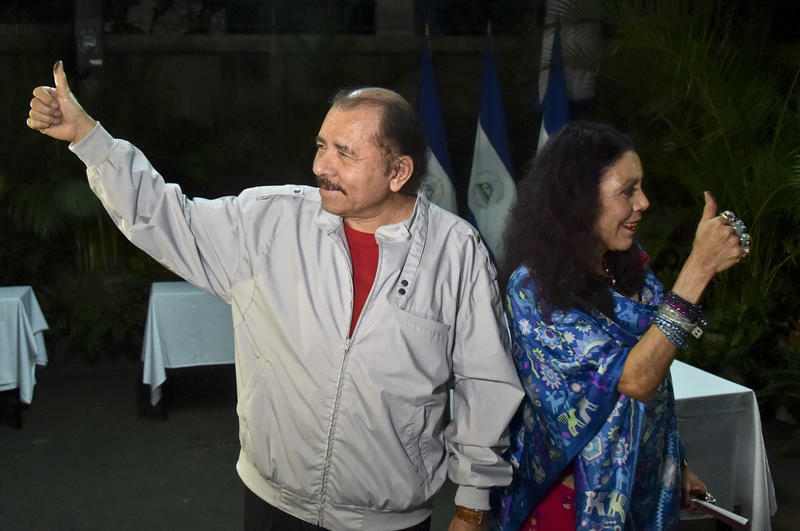 Daniel Ortega, the former Marxist revolutionary leader, handily won a third presidential term in Nicaragua. With almost 70 percent of the precincts reporting, Ortega received 72 percent of the vote. The Liberal Constitutional Party received 14 percent of the vote. Of course, this result was very much expected, because earlier this year, courts essentially blocked the leading opposition coalition candidates from participating in the election.